If you’re thinking about coming to Megacon in Orlando this May, in between hanging out with Jeff Golblum, Elijah Wood and Jim Lee, come visit us in Artists’ Alley! We’ll have T-shirts and stickers, con-exclusive merchandise, plus lots of giveaways and a chance to meet your Nerd of Godcast Crew! Find us in space 308A, we’ll be there all four days! Plus, Tony T. will be presenting the Religion in Anime panel (featuring Neon Genesis Evangelion) on Thursday, so swing by for that! Barry Allen has an exceptional amount of responsibility working with the Central City Police as their forensic scientist. Although he’s not a detective, his ability to use evidence from a crime scene to assist others is both very specific and incredibly necessary. It’s certainly not the most glamorous, but his expertise serves a purpose beyond just testing samples and viewing results. Without his explicit help, crimes in Central City would certainly take much longer to solve, if they’d be solved at all. Beyond that, Barry Allen serves the CCPD as The Flash, making criminal activity seem non-existent. Crimes committed by Meta Humans, on the other hand… now, that’s a different story altogether. He works as quickly as he can to contain those with powers who typically are beyond CCPD’s capacity and reach. If you know The Flash, then you know he doesn’t act alone. While Barry was in a coma, Caitlin Snow, Cisco Ramon, and Harrison Wells worked tirelessly to strengthen him. Upon his waking up, this small yet knowledgeable team of scientists continue to aid Barry, cultivating his newly developed skills as The Flash. Cisco has an abundance of insight on tech. Caitlin maintains Barry’s health, keeping him in check. And Wells… well, he oversees it, but he generally is the sounding board. These three also encourage Barry to gain speed with every experience. Each member of the team is very specific and undoubtedly necessary for the success of The Flash as a whole. Their willingness to help Barry succeed as The Flash allows him to better aid the CCPD, moving their demonstration of support beyond assistance into the realm of the greater good: the safety of an entire city. Each role is vastly unique, and no person can fulfill the role in case of an absence. Similarly, we each have been given a very unique role in the Body of Christ, and all roles are for the common good (1 Corinthians 12:4-7). If the gift given to one is prophecy, and the gift given to another is wisdom, neither can replace the other, but they must work together for the common good. In the same way, no gift given is less important than another. Paul writes in his first letter to the Corinthians “…the head cannot say to the feet ‘I don’t need you!’ On the contrary, those parts that are weaker are indispensable.” (1 Corinthians 12:21-22) Though we may not see it as such, each role is just as necessary! In fact, we are told to encourage and build one another up in love, and in doing so, we may live together in Christ (1 Thessalonians 5:11). No role is too small or insignificant that has not been considered by the Lord for His Kingdom’s glory, and that includes your role! Whatever that may be, be sure to surround yourself with others who encourage the cultivation of that skill and gift given to you by God. In doing that, you allow yourself to grow into the person God desires you to be, and you’re able best serve the Kingdom. The Four are Fantastic Again!!!! as well as the comic book Marvel 2-in-1 featuring The Human Torch, Johnny Storm, and Ben Grimm, The Ever-Loving Blue Eyed Thing. Many credited the original demise of the Four to the new film that was coming out, the critically panned Fant4stic, saying that Marvel was trying to lower the competition to their own cinematic universe. Others blamed it on lowering interest and book sales. Either way, we here at the Nerd of Godcast are glad to see Marvel’s first family come back to life for a whole new generation. What do you think about this comeback? Do you think this can have implications beyond the Marvel comic book universe? Let us know in the comments below and on social media. 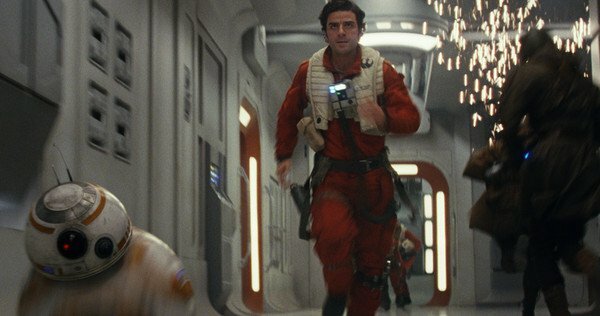 Poe Dameron has a really bad habit of just doing his own thing… like when Leia specifically tells him to pull back after they completed their counterattack, he defies her orders, destroying a First Order Fleet. He’s passionate to a fault, and this move costs the Resistance more than they should have allowed. He genuinely thinks he’s doing what is best for the advancement of the Resistance. In his efforts to help, though, things don’t quite pan out the way he had hoped. This risky move grants him a demotion, a decision with which he clearly disagrees. While their fearless and trustworthy leader General Leia lay asleep indefinitely, Vice Admiral Holdo (Ellie Satler from Jurassic Park with a fabulous purple coiffure) has every intention of protecting both their cause and those aboard their ship by waiting it out. Poe voices his disapproval of her plan, and remedies the obvious predicament by taking things into his own hands, feeling more assured of survival. True to his nature, Poe rigs up a plan to stop the seemingly inevitable defeat of the Resistance involving Finn and newfound ally, Rose. They’re directed to a casino, locked up, and they make friends with a shady hacker who assures them he can help their cause… for a price. After he follows through on his end of the deal, the hacker proves he has no allegiance in this fight between the First Order and the Resistance. This entire mess would have been avoided entirely had Poe trusted the leadership placed over the Resistance. Vice Admiral Holdo proves her absolute commitment to the Resistance by ensuring everyone’s safe departure from the ship, sacrificing her own safety. In the end, everything happened as it needed to happen, but there was significant collateral damage in the wake from Poe’s decision. The redemption of the situation was revealed in the safety of the Resistance ship passengers, and a newly ignited passion for their cause altogether. With a results-oriented mindset, it can be easy to get lost in the “what if’s” of life. Like Poe, who didn’t trust his new leadership, we can often feel like we’re left to fend for ourselves when we don’t see the whole picture. While that’s certainly never the case, we almost feel more secure in making our own decisions, because it seems as though it could be safer. I am guilty of this many times over, but Jesus reminds me time and time again that I will never understand how things work the way they do (Isaiah 55:8-9). There are plans for our lives that we may not yet see… or maybe we know what we’re called to, but we don’t quite see the steps being taken in a way that makes sense to us. But we’re not asked to understand, we’re asked to “trust in the LORD with all our hearts, and lean not on our understanding” (Proverbs 3:5-6). In our decision to trust, God will make clear to us the steps we’re supposed to take, then He’ll direct the rest. Even when there is a time that we lack trust and attempt to take control, God is willing and able to work all things to His Kingdom’s glory (Romans 8:28). There is an element of trust in this walk with Jesus that is absolutely essential, and it’s so much sweeter to trust in the One who knows all things than to hope we can make it on our own. Entertainment Weekly has released 15 covers of their special double sized Avengers Infinity War issue. These covers show a bunch of super hero match-ups, some quite unconventional. What do you think? Does this make you more excited to see this chapter of the MCU? It is interesting how movies about comics have become more and more common in mainstream media. I remember watching the 1990 Captain America movie and thinking it was the coolest movie ever! I was only 6 or 7 years old watching it, so don’t judge me. I recently watched it again not too long ago and thinking to myself, “Are those rubber ears?” I realized how wrong I was. I have always admired Captain America for so many reasons. He always stands for what is right and true; he stands for his country; he stands and defends ones who can’t; he stands when all adversity is against him. He would never stop fighting and standing for the right reasons. In the comics, he has shown countless times the character and integrity he stands for. Except only for the “Hail Hydra” thing, he has been consistent, but we won’t discuss that. Captain America reminds me of stories from the Bible when people would stand against tyrants who are hell bent on taking over. Moses vs. the Pharaoh, David vs. Goliath, Job vs. his friends, Daniel vs. Nebuchadnezzar, Daniel vs. the Lions, Jesus vs. Death. There are countless times in the Bible when people stand for what is right. No matter the cost, even unto death people would stand. In the picture above, Captain America is standing face to face with the tyrant Thanos and says “As long as one man stands against you, Thanos, you’ll never be able to claim victory.” What a bold statement to say even though Thanos could beat him to a pulp. I can picture David and others listed above saying something very similar. In Mark chapter 14, Jesus is betrayed and arrested and sent before the Council. People are screaming and testifying against Jesus, saying wrong things, hitting him and spitting on Him. While all this is happening Jesus just STANDS there taking all of it. Until this point, Jesus hasn’t said a word until the high priest asks Jesus a question. Jesus could have taken the easy way out by saying nothing or lying about who He is. Jesus stands for what He was called to do and for what He believes in. Jesus was a clear example of standing against wrong. Jesus showed us how to stand against those who come against us. For us it is imperative that we stand with Jesus leading the way, guiding and directing us. With the Lord leading the way, no one can stand against us. “As long as one man stands against you, Thanos, you’ll never be able to claim victory.” Let us stand strong with confidence today and everyday as we claim our victory against evil, hardships and difficulties. Like most of the world, I am currently obsessing over Black Panther; so much so that I’ve seen it multiple times in theaters (all this without MoviePass™… talk about dedication). The film boasts a dynamic plot, character build, and a seamless integration into the Marvel cinematic universe. The characters were well-written, and the cast lends itself to make the plot all the more enjoyable. To their credit, there was a natural chemistry between the cast members. 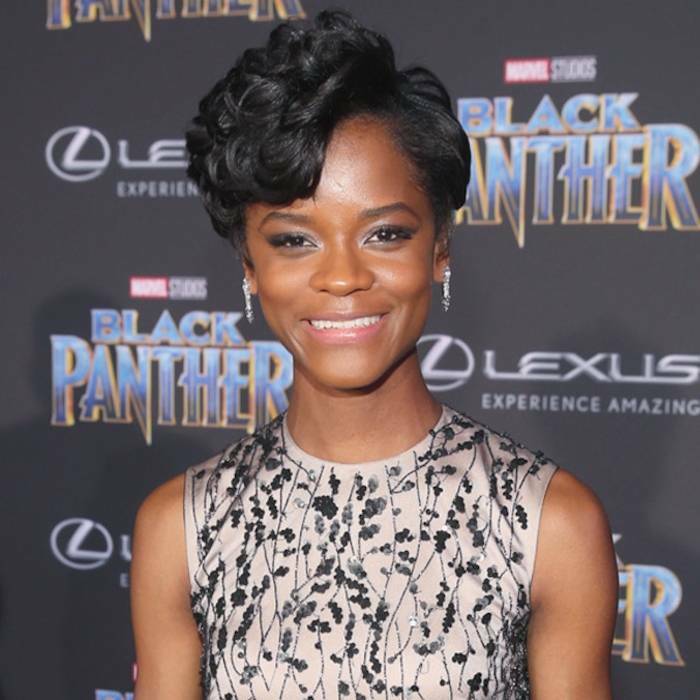 Throughout the film, newcomer Letitia Wright proved her skill and natural charm while delivering lines like “Guess what I call them? Sneakers. Because you… never mind.” While Shuri may have been written with a certain charm, I feel as though this came naturally to her. On and off screen, Wright has been a showstopper with her attitude and humility. Wright has been incredibly outspoken regarding her faith in media, on her social media, and during filming. In an interview with Vanity Fair, she remarked “Everybody has their thing that they’re truthful about. My thing is just a love of God … so that’s what I’m going to do.” Black Panther director Ryan Coogler also noted her charisma on set, calling her “the love and the light” of the film. During an interview with UK talk show This Morning, the hosts asked Wright about her past with acting; specifically, they questioned her about the fact that she considered giving up on acting altogether. Her response revealed that she experienced trials, but was able to overcome them through her relationship with Christ. I needed to take a break from acting because I really idolized it. So I came off from it and I went on a journey to discover God and my relationship with God, and I became a Christian. It really just gave me so much love and light within myself. I felt secure, and I felt like I didn’t need validation from anyone else, or from getting a part. My happiness wasn’t dependent on that, it was dependent on my relationship with God. God desires godliness everywhere, including the film industry, and we are called as Christians to be salt and light (Matthew 5:13-16). In an industry that is seemingly riddled with scandal, Wright’s faith is both encouraging and refreshing. She has spoken boldly in the past about her faith, and I don’t imagine that changing anytime soon. This has the ability to shift the conversation in a world that is in desperate need of the Gospel. But, it can’t be left to just this actress alone; bold as she may be, she is only one. There is a whole world in need of the Gospel, and the impact would be tremendous, but the laborers are counted as few (Matthew 9:37-38). Each of us is equipped differently, but we all have the ability to shift the conversation, just as Wright is doing in her work and life. Wherever you are, and whatever you are doing, do it all to the glory of God (1 Corinthians 10:31). In that, we set ourselves apart and allow Christ to work through us.